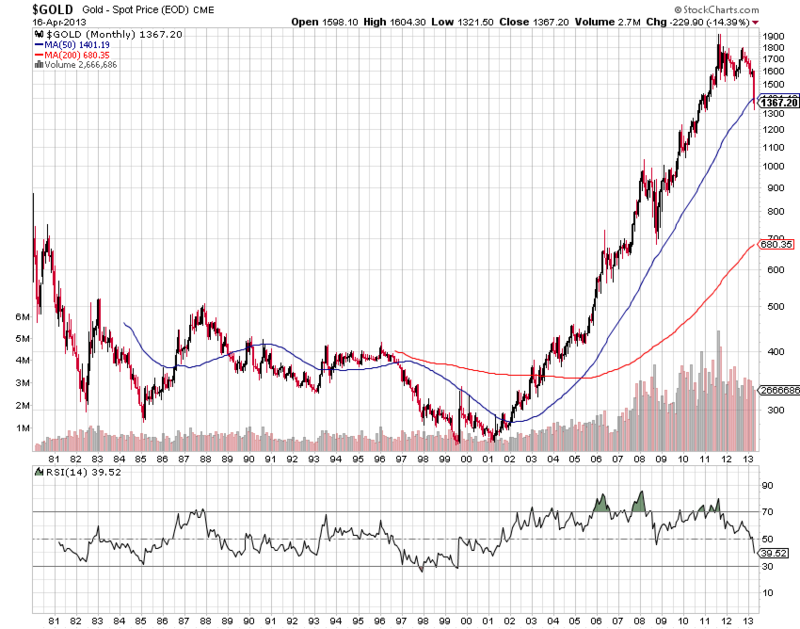 Historical CME Gold Weekly Charts indicate Strong Weakness? You are here: Home / Commodities / Historical CME Gold Weekly Charts indicate Strong Weakness? Pulling up the Classical technical analysis for the CME Gold Weekly Charts appyiing 200 WMA and 50 MA to it. 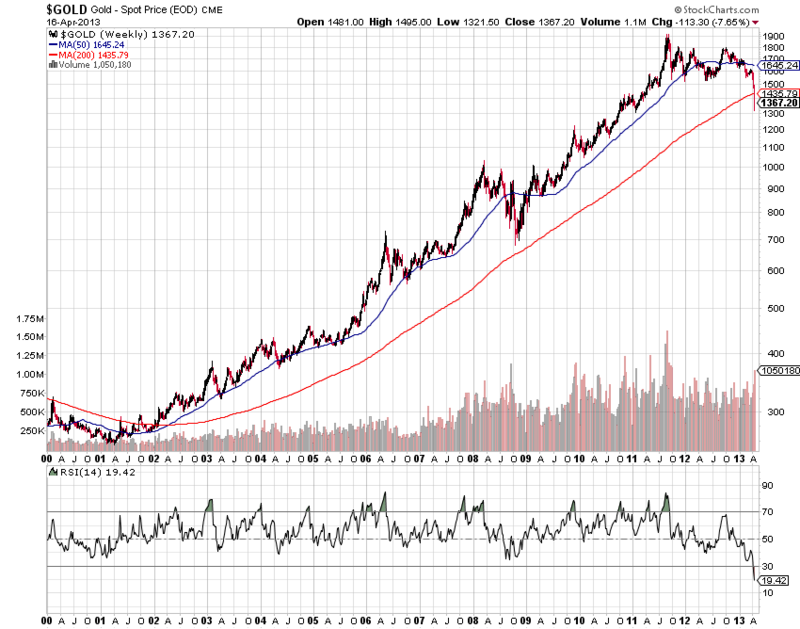 After the major dip in the International Gold the first mean reversion towards 200WMA is done after 12 years. And Gold is currently trading below the 200WMA ( 1435.79/ounce ). The Recent fall in Gold is more vertical as shown below in the daily Charts. RSI Dipped below 20 for the first time in the history probably the bubble would have been burst and we could experience high volatile moves in the upcoming days and Gold maitaining below 143.79 could be the key to the Bear market in Gold. what ‘s happen demand gold drops fall so far??? ?